See a full image gallery at the website of the Archdiocese of Colombo. The Saint Louis Review recently published Cardinal Burke's homily at the Solemn Mass of thanksgiving on the occasion of the Ordinary Public Consistory, delivered at the Pontifical North American College in Rome. 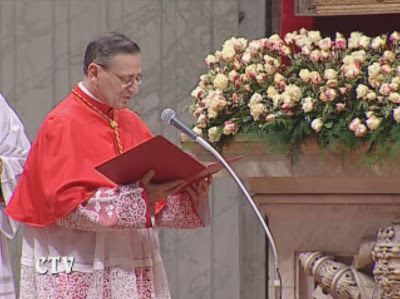 In his homily, Cardinal Burke brings up several a points of interest, including considerations on St. Cecilia, the sign of the cassock, and the ministry of cardinals. I think also of the tireless work of our Holy Father to carry out a reform of the post-Conciliar liturgical reform, conforming the celebration of the Sacred Liturgy to the perennial teaching of the Church as it was presented anew at the Second Vatican Ecumenical Council, so that in every liturgical action we may see more clearly the action of Christ Himself who unites heaven and earth, even now, in preparation for His Final Coming, when He will inaugurate "new heaven and a new earth," when we will all celebrate the fullness of life and love in the liturgy in the heavenly Jerusalem. The Cardinal today is called, in a special way, to assist the Successor of Saint Peter, in handing on, in an unbroken organic line, what Christ Himself has given us in the Church, His Eucharistic Sacrifice, "the font and highest expression of the whole Christian life." The right order of Sacred Worship in the Church is the condition of the possibility of the right order of her teaching and the right order of her conduct. By a decree of February 14, 1961, the Sacred Congregation for Rites outlined the norms by which local liturgical calendars should be conformed to the revision of the Breviary and Missal issued in the previous year. 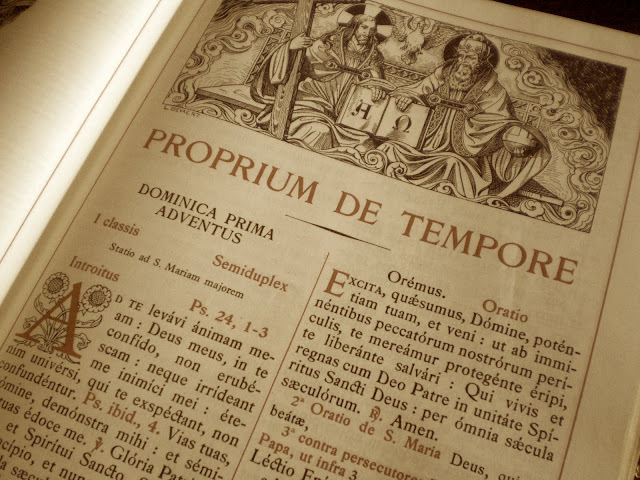 This decree repeats in broad terms the same principles by which local calendars had been reformed in the reign of St. Pius X, when the new Psalter was promulgated. However, where the 1911 reform was in most cases very conservative, that of 50 years later made way for a much more significant reduction in the number of local Saints. 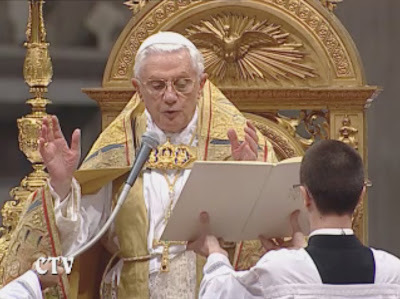 This is a matter of no small consequence for the Breviary, in which individual churches and religious orders celebrated so much of their sacred history and tradition, especially in the lessons of Matins. 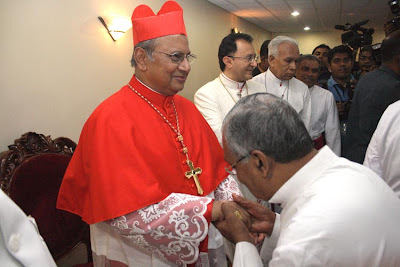 The complete text of the decree is available in the online version of the Acta Apostolicae Sedis of 1961 (p.168) ; I have here given a summary of it, including only the more salient points. 1. Feasts should be on the local calendar for a good reason, and their liturgical grade should be congruent with their relative importance. 2. Feasts which were originally introduced for a particular reason which is no longer pertinent should be expunged from the calendar. 3. 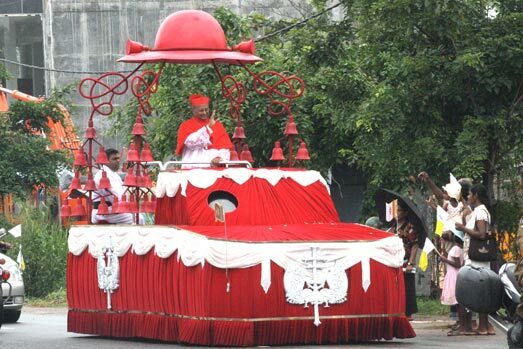 Feasts which were formerly added to a local calendar because of the presence of a relic within a certain territory (such as a diocese) are henceforth to be celebrated only in the church or oratory where the relic itself is actually present. 5. Regularly occurring votive Masses and Offices of patron Saints are suppressed. 6. In special cases, two or more Saints who have hitherto been celebrated with their own individual feasts may be joined into a single feast. 7. 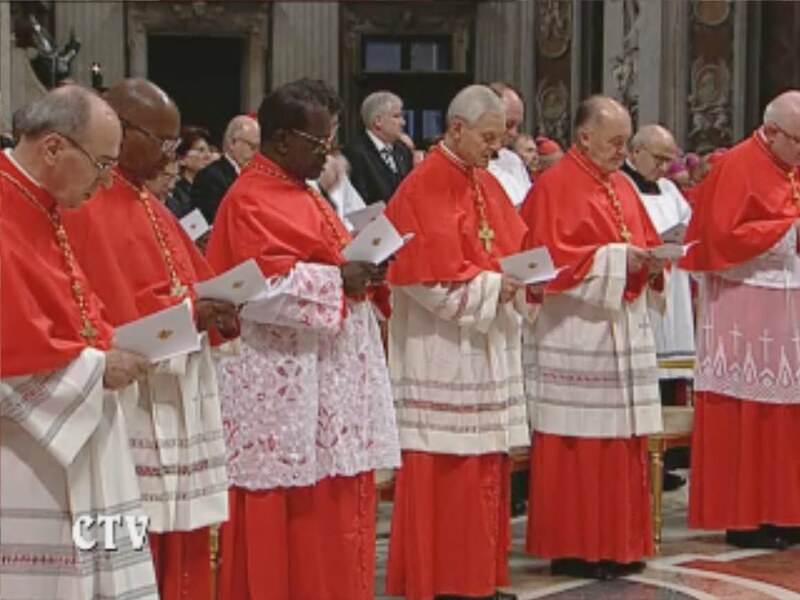 Feasts of the early bishops and martyrs of a diocese, of whom little or nothing is historically known, should be suppressed. 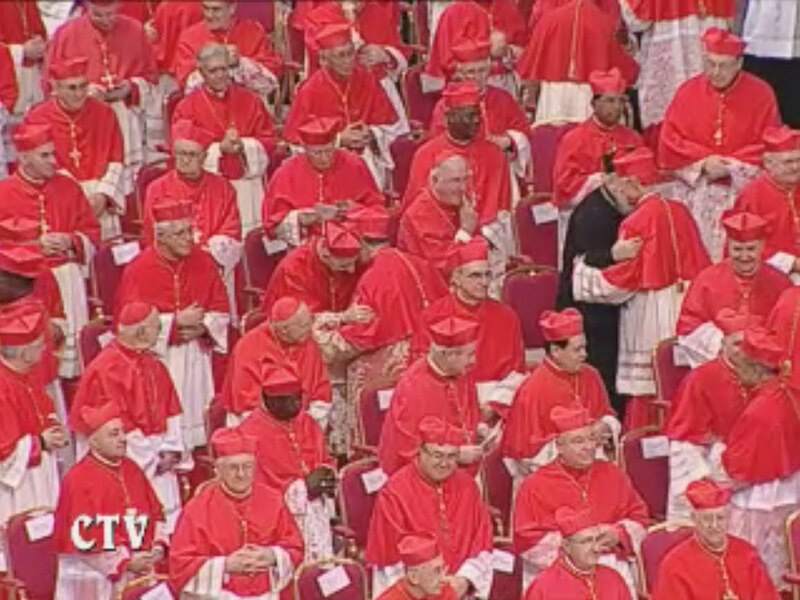 A common feast of All Bishops or of All Martyrs of a particular diocese may be instituted in their place. 8. Likewise, individual religious orders may institute a feast of All Saints of their order, and keep with an individual feast only those Saints and Blesseds of particular importance to the order. 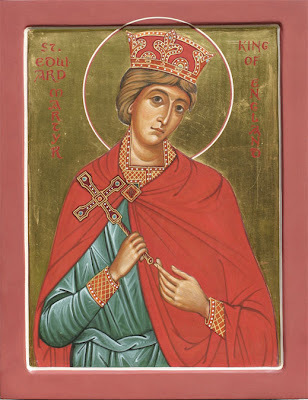 Permission is given to restrict the feasts of less important Saints and Blesseds to the provinces where they formerly lived, or the churches where their relics are kept. 9. Very few feasts of the First or Second class should be admitted to the local calendars, and these only for very particular reasons. The majority of local feasts should be of the Third class. 10. In regards to local patronal feasts, there should be only one, formally recognized by a decree of the Sacred Congregation for Rites, or established as such by immemorial custom. Patronal feasts which were instituted for states that no longer exist, or because of “extraordinary events, such as plagues, wars and other calamities, or because of a special devotion which has now been allowed to lapse”, are no longer to be kept as such. 11. 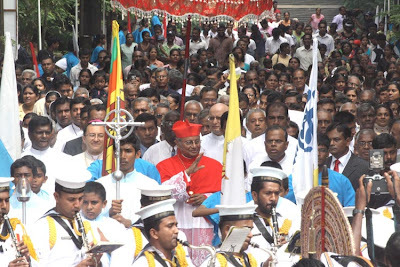 The decree also states that feasts “of devotion”, i.e., feasts that commemorate a particular title or event in the life of the Lord, the Virgin Mary and of other Saints, have been “multiplied exceedingly”, and are to be restricted to those places which have a special reason for keeping them. A list of such feasts is given, of which the only very prominent one is the feast of the Translation of the Holy House of Loreto, formerly kept in all of the dioceses of Italy. 12. The feast of Saint Philomena (which was never on the General Calendar) is to be removed from all local calendars. 13. In regards to the individual lessons provided for local feasts, they should be “brief and sober”, of roughly 120 words, easily understood, and purged of false or “less apt” statements. 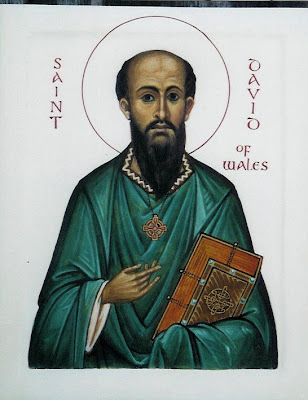 In cases where accurate historical information about the Saint is lacking, a reading from the common Offices or from the Church Fathers should be chosen. 14. The proper antiphons, hymns and responsories of a Saint’s office should also correspond to historical fact, or be replaced with pieces from the common offices. 15. Provisions are made for those feasts which have more proper features than the new structure of the Office can accommodate, as for example, offices which have four proper hymns, but no longer have First Vespers, and therefore have nowhere to put the hymn of First Vespers. Other rules are given for the manner in which the propers are to be printed. 16. All privileges and indults which are contrary to the new rubrics are revoked, but local ordinaries may petition for their reinstatement for particular reasons. 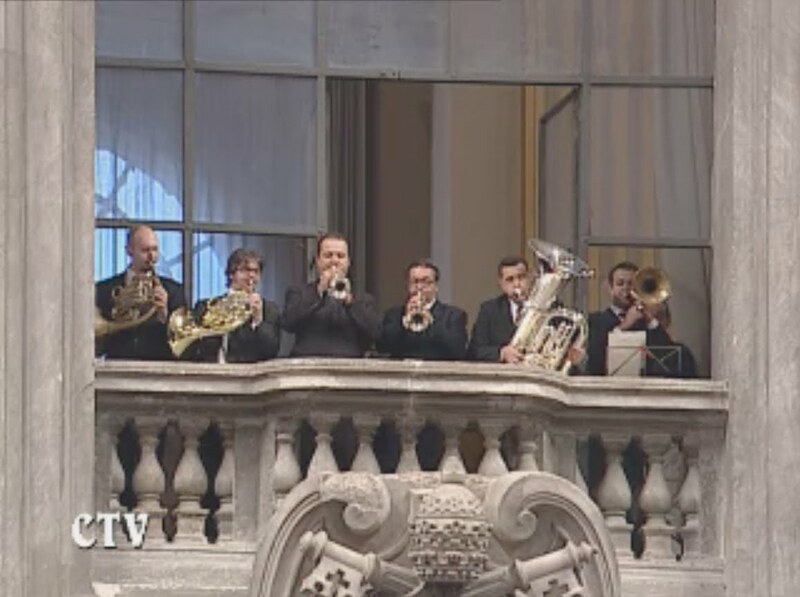 As an example of the application of this decree to a local calendar, we may take the case of the Pope’s own Cathedral, the Archbasilica of the Most Holy Savior, commonly known as Saint John in the Lateran, after the two Saints John, Baptist and Evangelist. Like several of the major basilicas of Rome, it did not keep to the calendar of the Roman diocese, but had its own proper liturgical calendar, which was followed in the basilica itself, and in its local dependent churches. In 1911, the Lateran calendar contained 32 entries. Of these, sixteen also occur on the General Calendar, but are kept at a higher grade at the Lateran. 1. The feast of the Transfiguration is kept as a Double of the First class with an octave, as the titular feast of the basilica. (This was also done thoughout the diocese of Rome.) This custom derives from the Byzantine Rite, in which the feast is known as “the Transfiguration of the Savior”, and from which the Roman Church adopted the feast in 1456. In the Byzantine tradition, the feast celebrates the manifestation of Christ to his disciples as Savior, for which reason it is placed exactly forty days, the length of Lent, before the principle feast of the instrument of our salvation, the Exaltation of the Cross. 3. Five Saints or feasts are noted on the calendar because their main Roman churches are affiliated with the Lateran. Four of these are at a higher grade than on the General Calendar; one of these churches is no longer extant, a chapel of St. Margaret of Antioch (July 20), which was formerly part of the Lateran complex. 4. 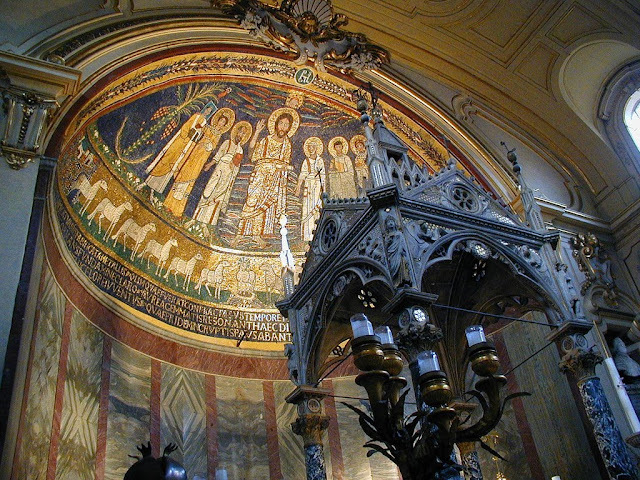 Nine Saints or groups of Saints are kept at a higher grade because of the presence of their relics in the basilica itself, the baptistery, or the Sancta Sanctorum, the official Papal chapel at the Lateran. This last is officially known as Saint Lawrence in the Palace, but has been called the “Sancta Sanctorum” for centuries because of its extraordinary collection of relics. The altar of the Sancta Sanctorum, which is now part of the building across the street from the Lateran called the Scala Sancta. The grill around the altar was originally installed to protect the many precious relics stored within it. 5. 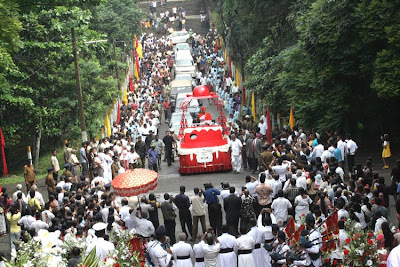 Six other feasts not on the General Calendar are kept because of the presence of relics within the complex. Of these, by far the most important is the Translation of the relics of the heads of Ss. 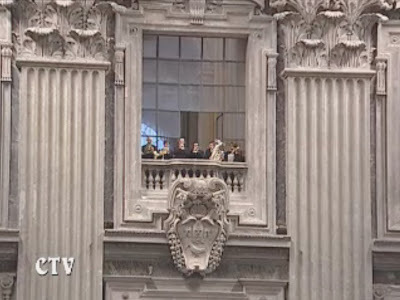 Peter and Paul, which are kept in the large baldachin over the main altar of the basilica. 6. Among the remaining entries, the most notable are the feasts of St. John the Baptist’s father, St. Zachary: that of St. John the Evangelist’s mother, Maria Salome; the Empress St. Helena, who discovered the relics of the True Cross, and whose son founded the Lateran Basilica; the feast of All Saints whose relics are kept in the Lateran; and the octaves of the Transfiguration and Dedication. In 1961, the Lateran Calendar contained 11 entries, a reduction of just under two-thirds. Of these, five also occur on the General Calendar, but are kept at an equal or higher grade at the Lateran. 1. The Ascension is noted as the titular feast of the basilica, instead of the Transfiguration. 2. The Nativity of St. John the Baptist is noted as co-titular of the basilica. 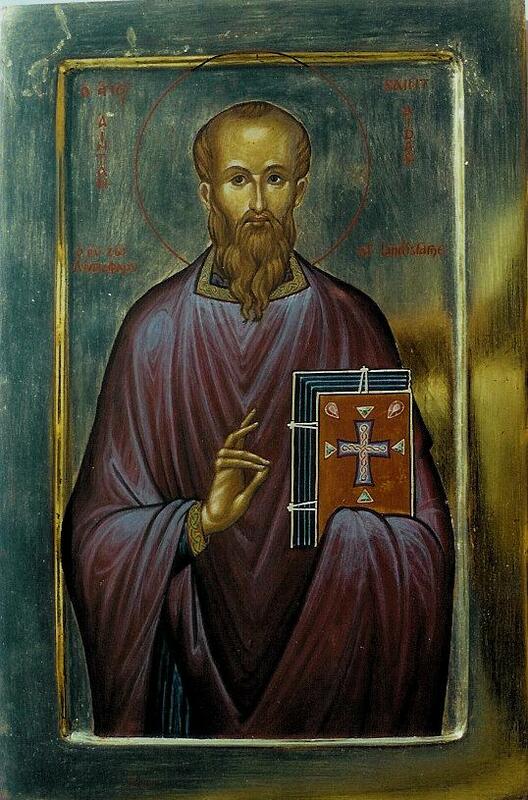 The Dedication of the church, and the feast of St. John the Evangelist are also First-class feasts, as before. To this group is added Pope St. Sylvester I on December 31, as the “founder of the Constantinian Basilica”; in the previous version of the Lateran Calendar, the founder of the Constantinian Basilica was recognized to be Constantine, who was named as such under the entry for his mother, St. Helena. 3. Only one feast is noted because of a Roman church affiliated with the Lateran, that of St. John at the Latin Gate. 4. 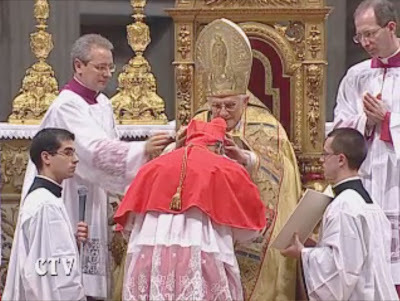 Of the fifteen relic-feasts formerly kept at the Lateran, all but two are suppressed. 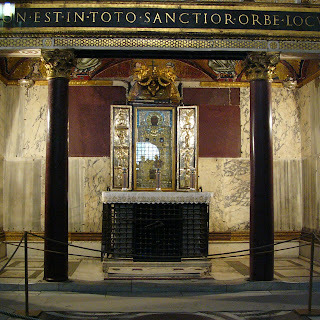 That of All Saints whose relics are kept at the Lateran is retained, but transferred from its traditional date, June 23rd, the vigil of St. John the Baptist, to November 5th; special mention is made in the title of the Sancta Sanctorum. The other is that of the Translation of the Relics of the Heads of Ss. Peter and Paul, kept only as a commemoration. 5. The feasts of Ss. Zachary, Maria Salome, and Helena are retained; the octaves of the Transfiguration and Dedication were suppressed in the reform of 1955. Just up the street from the Lateran, another basilica with its own calendar, St. Mary Major, the oldest church in the world dedicated to the Mother of God, proved to have even fewer feasts deemed important enough to retain. 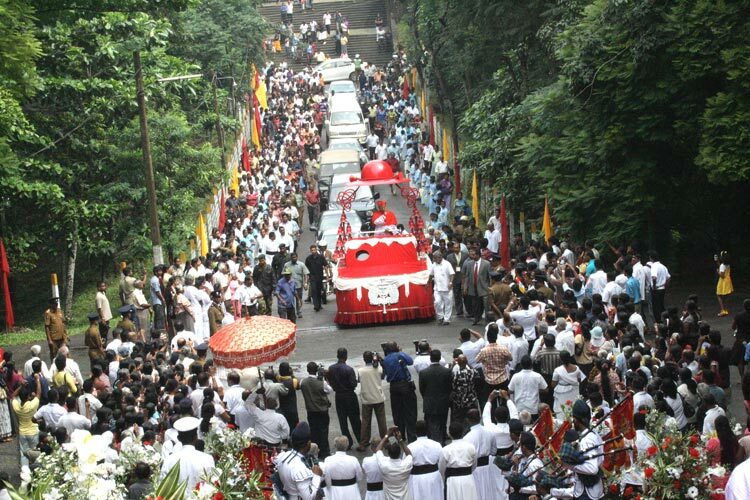 Its proper calendar of 1964 contains only six entries, three of which are common to the General Calendar; of its three proper feasts, one is a commemoration. When St. Dominic was dying in August of 1221, Guala, then prior at Brescia, had a dream of a ladder let down from Heaven, with Christ and the Virgin at the top, and Angels ascending and descending by it. At the foot of the ladder sat a friar whose face he could not see; the ladder was then pulled up into Heaven, and the friar with it. 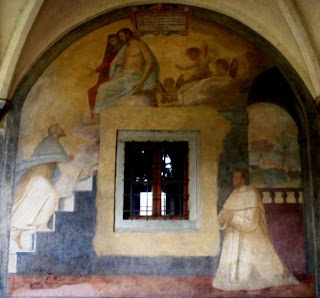 On waking, Guala immediately departed for Bologna, only to learn on his arrival that St. Dominic had died at the very moment he was having his dream. In 1234, very shortly after his canonization by Gregory IX, St. Dominic’s feast was kept with a newly composed proper Office in the choir of St. Nicholas in the Vineyards, where he was buried. 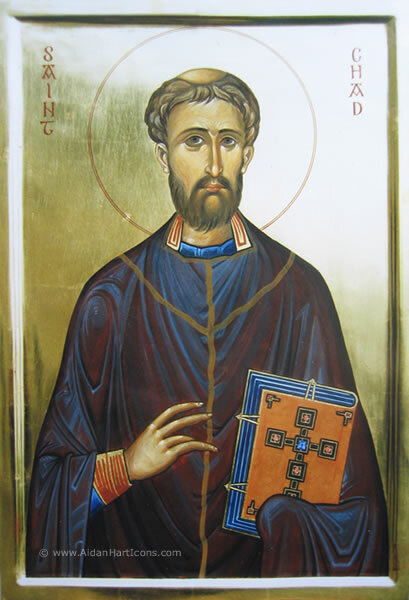 In this Office, the third antiphon of Lauds says, “A ladder stretching forth from Heaven is revealed to a brother, by which the Father passing was born on high.”, and at this first chanting of the Office of St. Dominic, it was Guala himself who intoned this antiphon. the principal Dominican church of Florence, ca. 1580. In 1961, Guala was one of 62 Blesseds removed from the Calendar of the Dominican Use; another 19 were reduced to commemorations, leaving eight, (a mere 9 percent of the former total,) as Third class feasts. 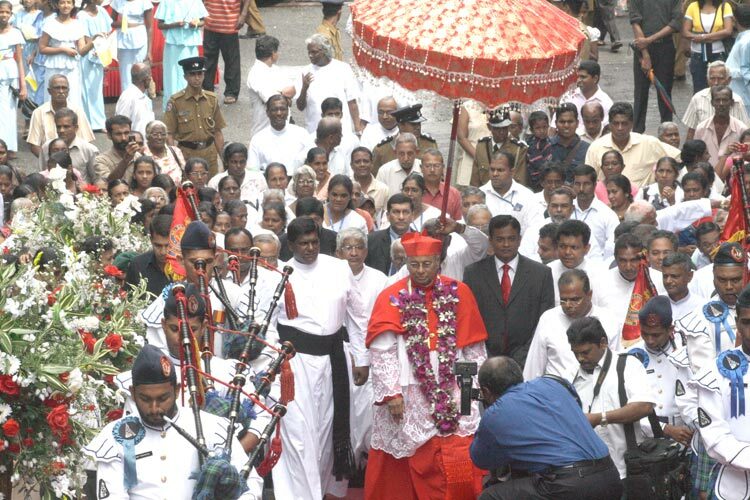 The final article in this series will discuss some points relating to possible future reforms of the Divine Office. To read the most recent parts of this series, click here. For the complete set of links to the earlier parts of this series posted last fall, including a Glossary of terms related to the Divine Office, click here. Continuing with our consideration of some Advent customs, we now turn to one which is particularly rooted within the German speaking countries of Europe -- from whence so many of Advent and Christmas traditions seem to come -- that of Barbarazweige or St. Barbara's branches. 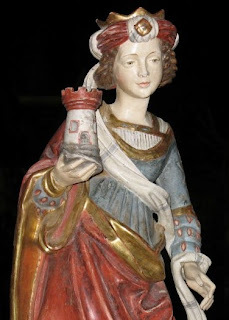 The feast of St. Barbara is traditionally celebrated on December 4th and still is universally within the calendar of the usus antiquior; it is also still kept on this day within the modern liturgical calendar of the German speaking countries of Europe, where there is yet a great devotion to her. 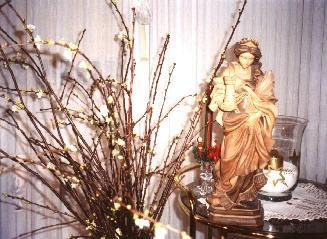 Various legends surrounding St. Barbara were attached to flowering branches. One is that flowers blossomed upon her grave on Christmas day; another that, imprisoned in a tower awaiting martyrdom, St. Barbara found a dried up cherry tree branch which she watered and which bloomed, thus bringing her consolation before her martyrdom. The custom thereby arose that, each year on her feast, people would go out and cut some branches from some flowering wood such as a cherry, hazel, forthysia or apple, prepare them, place them in a vase indoors, watering them. This done, people would wait in expectation for them to blossom on or around Christmas Day -- which accordingly ties in very nicely to Advent and the expectation of the birth of Christ. Late last night an excellent article appeared on Zenit which will certainly be of interest to many NLM readers for two reasons. One, it is written by Fr. 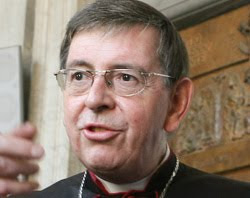 Uwe Michael Lang of the Oratory who is a consultor of the Office of Liturgical Celebrations of the Supreme Pontiff, as well as an official of the Congregation for Divine Worship and the Sacraments. 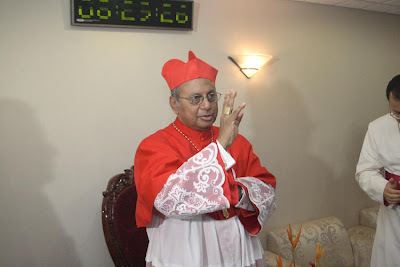 The second is for reason of the topic of the article: The Noble Simplicity of Liturgical Vestments. In this article, Fr. Lang examines the topic of beauty in the sacred liturgy and further, what is noble simplicity when it relates to sacred vestments. This is a topic which arises ever more frequently today as we see interest in and revivals of traditional forms of vestment design and ornamentation, particularly amongst the younger generations. Some, particularly those of older generations, struggle with this. Touching upon the recent homily of the Holy Father in the dedication of La Sagrada Familia in Barcelona, Fr. 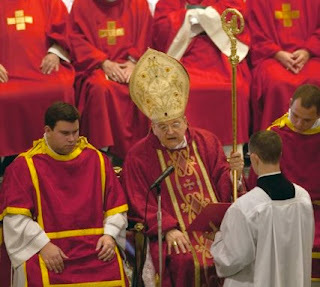 Lang comments that "Divine beauty manifests itself in an altogether particular way in the sacred liturgy, also through material things of which man, made of soul and body, has need to come to spiritual realities: the building of worship, the furnishings, the vestments, the images, the music, the dignity of the ceremonies themselves." 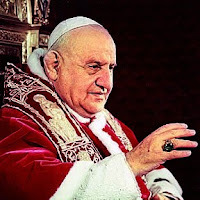 He continues, commenting on Pope John Paul II's affirmation that "Christ himself wanted a fitting a decorous environment for the Last Supper, asking his disciples to prepare it in the house of a friend who had a "large upper room furnished" (Luke 22:12; cf. Mark 14:15). In face of Judas' protest that the anointing with precious oil was an unacceptable "waste," given the need of the poor, Jesus, without diminishing the obligation of concrete charity towards the needy, declared his great appreciation for the woman's action... John Paul II concludes that the Church, as the woman of Bethany, "does not fear to 'waste,' investing the best of her resources to express her adoring wonder in the face of the incommensurable gift of the Eucharist". Read the entire article on Zenit. 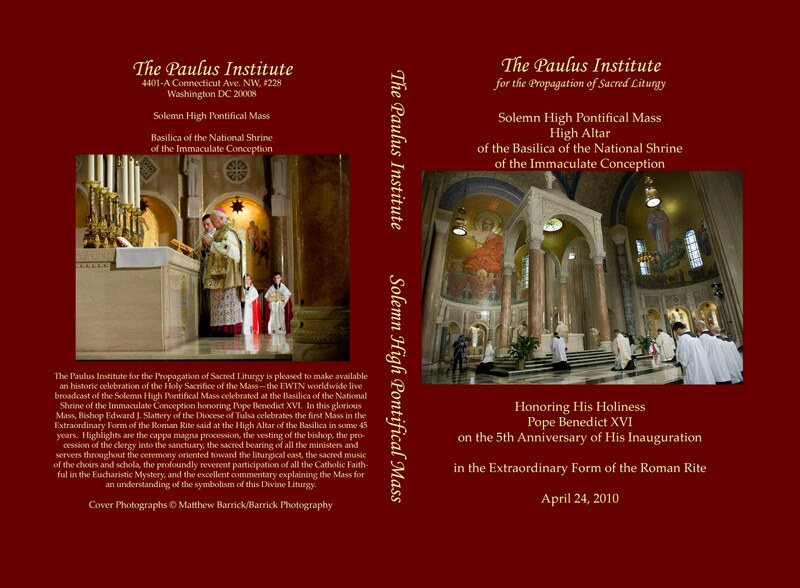 A Talk on the Dominican Liturgy in Washington D.C. Readers of the New Liturgical Movement in the D.C. area may be interested in the following lecture, part of a series in preparation for Christmas. Brother Innocent Smith, of the Order of Friars Preachers, a specialist in Dominican chant, will be delivering a talk on "Christ in Chant" at the Dominican House of Studies in Washington D.C., (487 Michigan Avenue N.E. ), this coming Sunday, November 28th, at 7:30 p.m. It will be accompanied by the singing of several popular carols, and the Dominican versions of the three introits for the Masses of Christmas. The singing of Compline will follow the presentation, which will focus on the depiction of Christ and the feast of Christmas in the chants and songs of the season. Br. Innocent will repeat the lecture on Sunday, December 12, at 10:15 a.m., at the St. Thomas Aquinas Parish Center, 401 Alderman Rd., in Charlottesville, Virginia, and again the following Saturday, December 18th, at 5:15 p.m. at the parish of Sts. Philip and James, 2801 N. Charles Street, Baltimore, Maryland. All of these events are open to the public. I have had the pleasure of meeting Br. Innocent and discussing the Dominican liturgy and music with him, and I am sure the talk will be very interesting indeed, as well as an opportunity to hear some variant forms of the traditional Gregorian chants of the Roman Rite. There a number of places that one can go to learn icon painting, that I know of, both in the US and Europe. (Including of course, the summer programme at the Way of Beauty Atelier at Thomas More College!). As a general discussion, here are some things that strike me as worth considering when choosing such a place. I use my own experience of choosing classes for myself with various teachers before settling on one whom I felt was right. 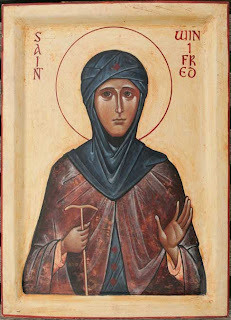 I was very lucky to be taught icon painting by an English iconographer called Aidan Hart. Firstly, he is a great icon painter: his icons are, in my opinion, as beautiful as any being painted today that I have seen. Second, he is a natural teacher. His is the model I look to when I try to teach others. As he demonstrated any particular skill, he emphasized the importance of understanding why things were done as they were, and reduced things down to a few core principles, which he sees as the unbreakable guidelines that define the tradition. This is in contrast to rules; which are the applications of the principles in particular cases. Understanding principles allows for the development of a living tradition which can develop and adapt to its time and place. The principles can be re-applied, perhaps to differing result, in different cases as need demands. So the rules change but the principles don’t. Once this was understood it was easier to see how there is a huge scope for variety in style of icons, without deviating from the central principles that make an icon and icon. It was he who pointed out to me the common elements that unite the various Eastern and Western Catholic traditions in iconography (and which I wrote about in more detail here). An understanding of principles allows for change without compromise of those principles; this is what is necessary in all traditions if they are to flourish. 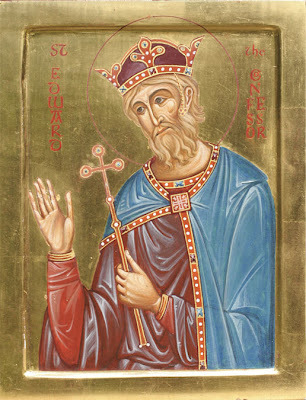 He had a particular interest in this, because living in England, he was exploring ways of painting icons of the ancient saints of the British Isles in a way that was simultaneously true to both the timeless and ‘placeless’ principles of iconography; and rooted in the geographical location and times of their lives. 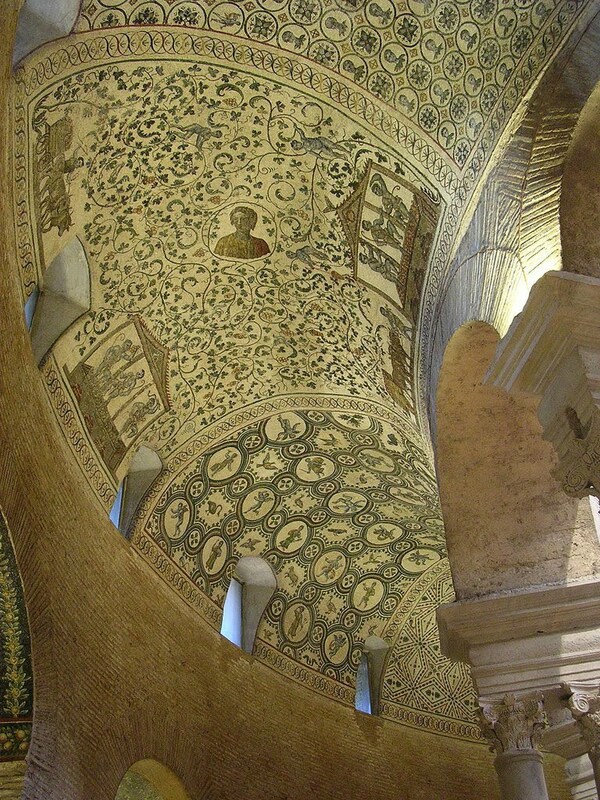 He tended to draw on the style that was seen in Constantinople and the Greek Church about 800-1,000 years ago. This is the style this has a higher degree of naturalism than we see in, for example, Russian icons, and, as I see it, is more accessible to the modern Western eye. The painting at the top of the article is of Saint Winifred. 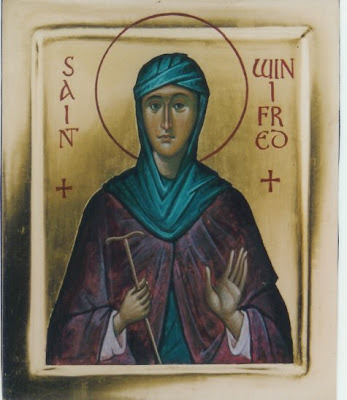 St Winifred’s well in North Wales is a British Lourdes, a place of pilgrimage still, where there are miraculous cures. The town which contains the well is called Holywell and there is still flowing spring and a 15th century gothic building that houses it. I have included below some more pictures of his saints of the British Isles. 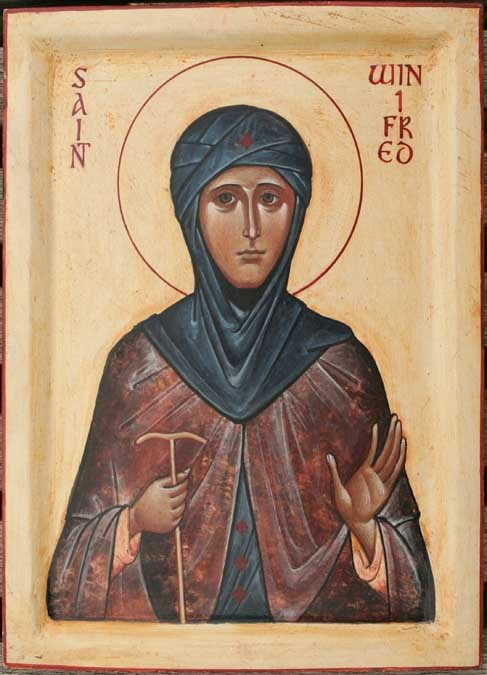 I have a particular fondness for this, I grew up on the English side of the border with Wales about 10 miles from the well and she is the patron of the local Catholic church in Neston, Cheshire. I have not spoken to Aidan about this directly, but I am guessing that when he painted it he was thinking of an icon of St Theodosia painted in Constantinople in the 13th century (see below). It is important that Catholics who learn to paint icons place this artistic form within the context of our own tradition. If learning from any Orthodox teachers (which is likely), it should be remembered that Orthodox churches do not view Western non-iconographic liturgical traditions as legitimate forms of sacred art. As Catholics we do not need to be worried by this. We are not bound to accept all we are told uncritically, and as long as we know the basis of our own traditions well, we can make a sound judgment regarding the validity of what we are told. 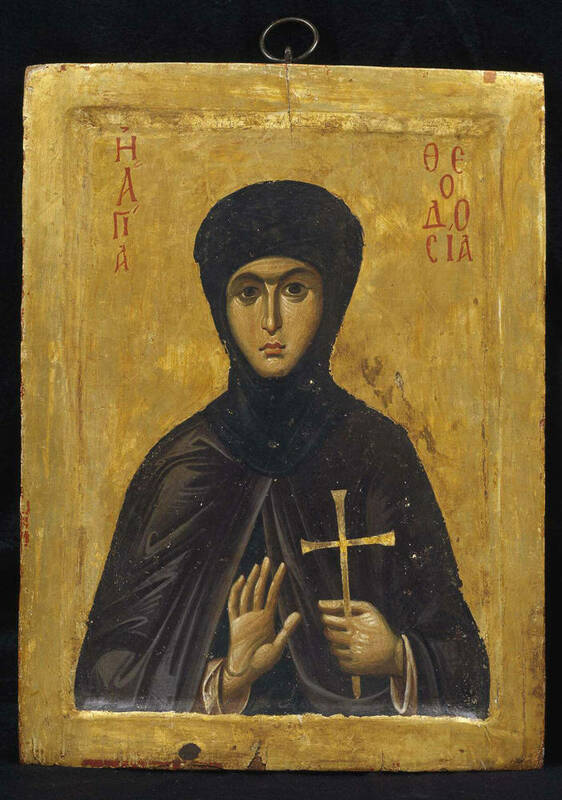 The icon below is of St Theodosia, 13th century, Constantinople. Others by Aidan Hart. The other photos are of the 15th century housing for St Winidred's Well in Holywell, North Wales; and of the well itself. I'm very grateful to Mr. 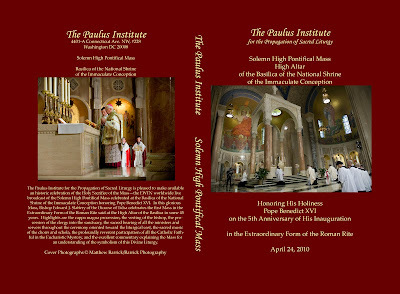 Tribe for allowing me to share some information about a brand new Sacred music publication that comes just in time for Year A.
Corpus Christi Watershed has a special division dedicated to Liturgical music, and all our Liturgical projects are named in honor of the saintly Jesuit Martyrs of North America. Our projects embrace the full gamut, from scholarly pursuits like the St. Jean de Lalande Library of Rare Books to sites for Church musicians "in the trenches" like the St. Charles Garnier Gospel Acclamations. As of November 2010, one can purchase a complete set of Year A Responsorial Psalms based on Gregorian chant, with modal organ accompaniment, and (of course) our collection scrupulously adheres to the Church's official text. ccwatershed.org/psalms has all the information. My organ harmonizations are based on the modal theories of Gregorian accompaniment developed by the Lemmens Institute in Belgium (whose faculty included such legendary Catholic composers as Flor Peeters and Msgr. Jules Van Nuffel). Catholic musicians will greatly appreciate the fact that every single verse is written out with a careful accompaniment, and numerous harmonizations are provided for the Refrains. 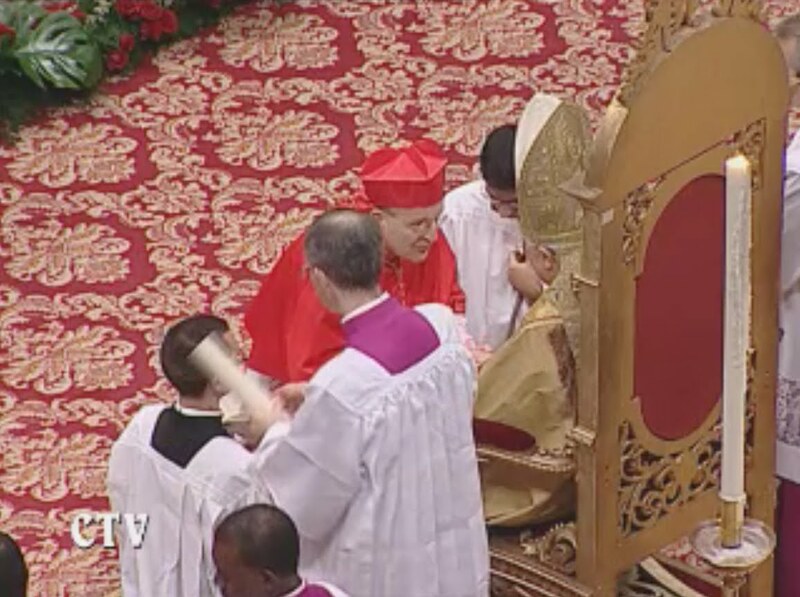 One reason I did this is that, based on my six years experience working in the Ordinary Form, I realized that our Catholic organists often act as cantors (out of necessity). Also, the accompaniments are rather simple, because so many of our Catholic choir directors are volunteers hard pressed for practice time. For those who do not desire organ, the Chabanel Psalms can also be done a cappella. Visiting ccwatershed.org/psalms, one can view all 180 pages of the organist book, all 90 pages of the vocalist book, and even download both versions of the congregational book (in modern & Gregorian notation). Each of these psalms is available for free and instant download at chabanelpsalms.org, where one can also find alternate Psalm options (by composers like Richard Rice, Aristotle Esguerra, Fr. Samuel Weber, Arlene Oost-Zinner, and many more) as well as hundreds of practice Mp3's and training videos for each Psalm. Some may ask, "Shouldn't we be encouraging choirs to sing the Gradual chant, in place of the Responsorial Psalm?" Well, Watershed is a leader in this area, too. Free sites like GoupilChant.org and JoguesChant.org provide scores, MP3's, and training videos on how to chant the Gradual, and these sites have already received many hundreds of thousands of visitors. FYI to those wondering, while not American and therefore not myself celebrating Thanksgiving today, it seemed like a nice opportunity for a little sabbatical day -- hence the quiet. A very happy Thanksgiving to all of our American readers. Enjoy the food and family. 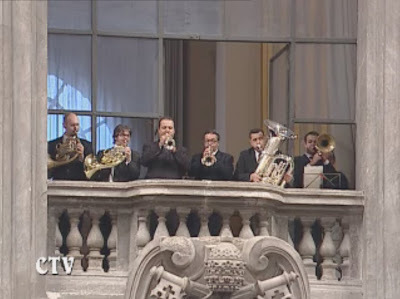 John Sonnen, as usual, gives us some views of the delights of the Eternal City, this time from the Feast of St. Cecilia, in the basilica of Santa Cecilia in Trastavere. This is just too nice a sight to not show. Those interested in matters liturgical will also be familiar with the fact that "style wars" will sometimes arise in relation to the ecclesiastical arts. In the 19th century it was perhaps most famously the matter of gothic versus classical architectural forms. This was perhaps most quintessentially represented in the anti-classical polemics of Pugin's Contrasts and True Principles. In the 20th century, this continued, though the classical seems to have become less the point of focus than the baroque -- further broadened to encompass matters such as sacred vestments. Recently, architect Dino Marcantonio addressed the former debate, pursuing a consideration of the relationship of gothic to classical as it relates to architecture. Here is some of that discussion. 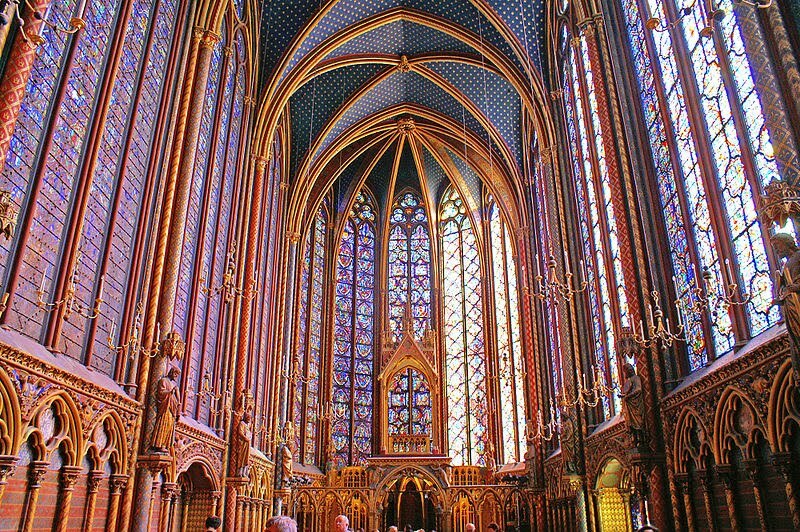 The Gothic style is a favorite for many, particularly when it comes to ecclesiastical structures. 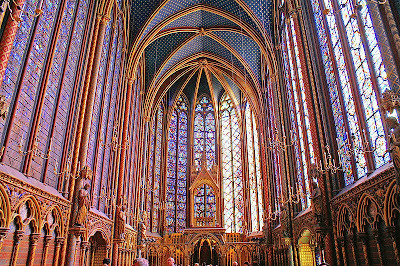 Indeed, who is not impressed with the majesty of the ordered cosmos arrayed on the facade of Reims cathedral, the other-worldly luminosity of the Saint Chapelle (below), or the virtuosic vaulting of King's College Chapel in Cambridge? It can rightly be said that, just as God is that than which nothing greater can be conceived, so these masterpieces are that than which nothing greater can be built. Unfortunately, the Gothic is often opposed to the Classical, as if they were two totally different animals with totally different agendas representing totally different worlds. I suppose we can thank the 19th century style wars for this architectural dualism. Some in that debate went so far as to suggest that Gothic was the Christian style, while Classical was the pagan style. To me that is like arguing that true Christian poetry is to be written in terza rima, while ottava rima is for pagans. In an effort to restore a hermeneutic of continuity to the question, let's have a brief look at what the canonical Classical forms and the Gothic forms have in common. For the Gothic style did not arise sui generis from the medieval mind and culture. Rather it was a perfectly natural development of the architectural culture which preceded it. The Gothic was a stylistic twist on the Romanesque, which itself was a twist on the Byzantine which preceded it, etc. etc. Each generation experiments with the formal world into which it is born, looking for improvements, recovering lost knowledge, and expressing new ideas. ...the story of the Gothic style is one of continuity with the tradition. The very plans of these churches all derive from the ancient Roman basilica. Many of their facades, like that of Suger's church, the historic Basilica of St. Denis, below, make prominent use of the ancient Roman triumphal arch motif: major arched opening in the center, and minor arched openings to either side, just like the Arch of Constantine. 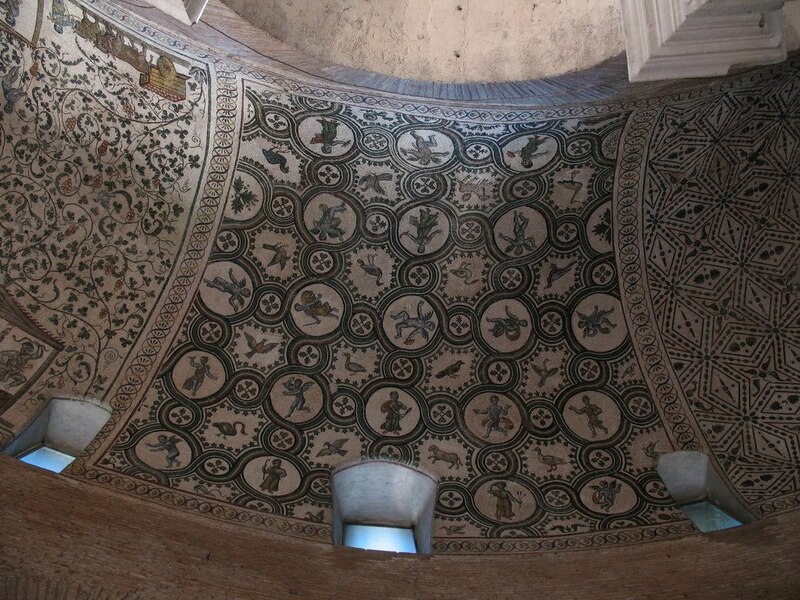 The rose window above, a motif which would go on to be developed to spectacular effect (have a look at Strasbourg Cathedral), originated with the Roman oculus. And the Corinthian order used throughout comes, of course, from the ancient Greeks. In the Byzantine Rite, the feast of the Virgin Mary’s Presentation in the Temple is one of the Twelve Great Feasts of the liturgical year; these feasts are often kept with a vigil service the evening before, consisting of various hours of the Divine Office and certain particular ceremonies. 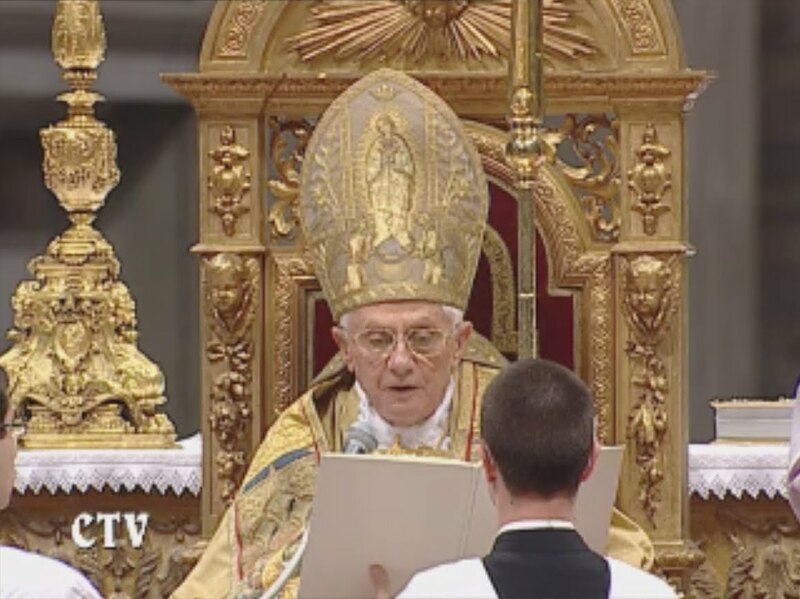 This liturgy, one of the most beautiful in the Byzantine tradition, is regularly done the evening before each of the Twelve Feasts at the Pontifical Russian College in Rome, according to the abbreviated form in general use in parishes among the Slavs. The service is nevertheless over an hour and a half long; these few photographs give only a very slight idea of it, and my description of them is not even a remote attempt to be complete. It also contains some of the finest and most moving liturgical music in Old Church Slavonic, and we are particularly blessed to have a very good choir these days at the “Russicum”. On the left, i.e., closer to the iconostasis, a stand is prepared for the icon of the feast, which is brought from the sanctuary towards the end of the service. In front of it, a small table holds a plate with three unlit candles, five small loaves of bread, and three vessels, one containing wheat, one containing wine, and a third containing rose-scented oil. 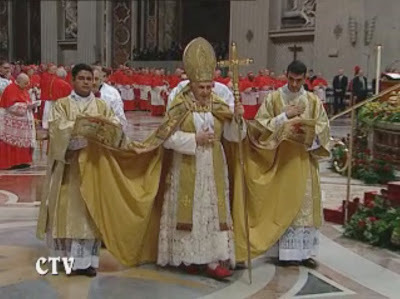 The celebrant and servers leave the sanctuary and proceed through the nave to the doors of the church; after incensing the faithful, the celebrant sings various litanies and prayers, including long lists of Saints. When blessing the people with the words "Peace be with you", he faces the doors of the church, as if imparting the peace of Christ to the entire world. The three candles on the plate are lit; the celebrant comes forward and blesses the bread and oil, and incenses them while walking around the table several times. More litanies and prayers are said by the celebrant and the lector. The celebrant and two other priests bring the icon of the feast from the sanctuary down to the middle of the nave, and place it on the stand prepared for it. The celebrant incenses the icon while walking around it several times, holding a candle in his other hand. 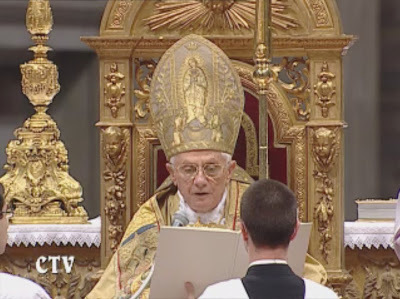 Note the blue vestments, commonly used in Slavic countries on Marian feast days. The Gospel book is brought from the altar, and laid on a second stand placed next to that of the icon. 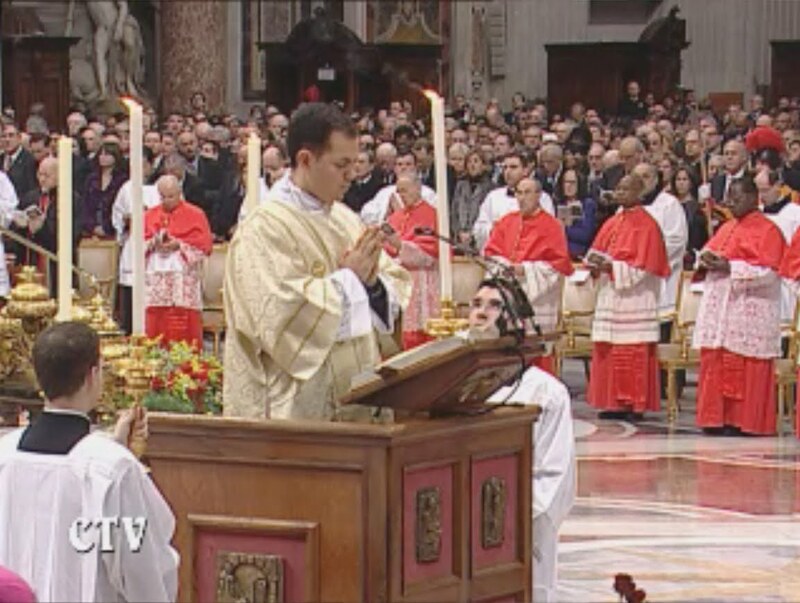 The celebrant then sings the Gospel of the Vigil, with the same ceremonies used at the Divine Liturgy. All those who are present come forward and kiss first the Gospel book and then the icon. After each person has venerated the icon, the celebrant paints a cross on their forehead with the rose-scented oil. (Priests, however, receive the brush from him and put the oil on their own foreheads.) 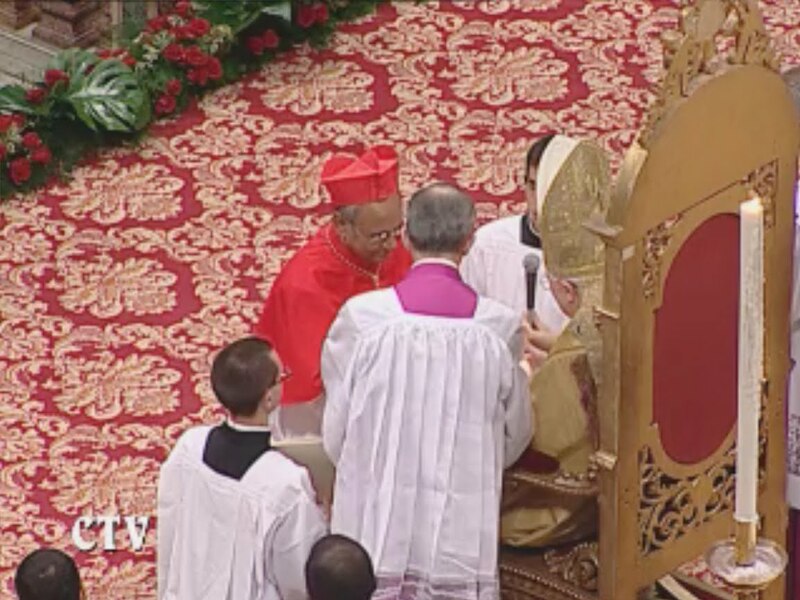 They then receive a portion of the blessed bread, tinged with wine, from the plate held by the acolyte. The Gospel book is returned to the sanctuary, but the icon remains in its place for the feast. We're approaching the gift-giving season and so people are no doubt starting thinking about what they might like to acquire for that friend who is interested in the sacred liturgy. 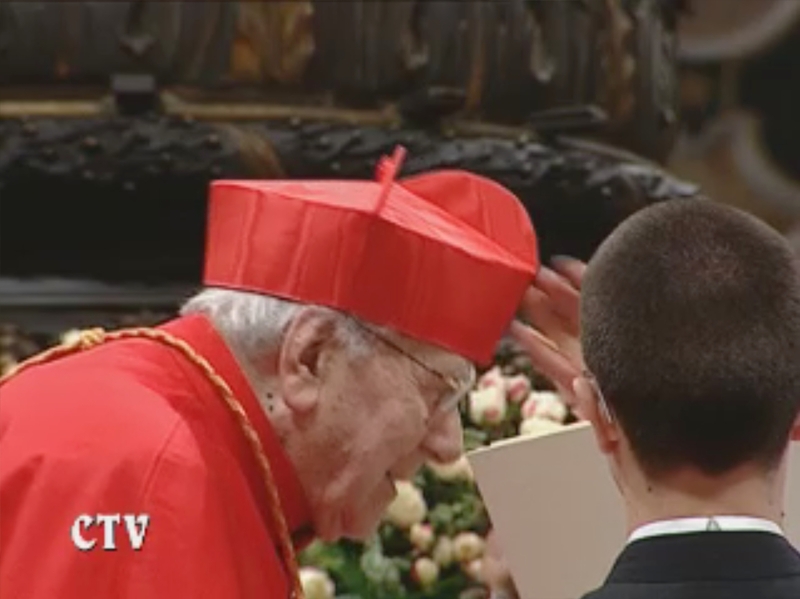 The DVD itself -- which I was kindly sent a copy of -- will give you the full coverage of the Mass as it was covered and captured by EWTN and is an opportunity to keep what was a treasured moment for many as a more permanent keepsake for many years to come. In its recent session of 16 November, UNESCO decided to inscribe on the UNESCO Representative List of the Intangible Cultural Heritage of Humanity the hopping procession of Echternach (Echternacher Springprozession), a unique procession, which since the Middle Ages takes place every Whit Tuesday in the medieval town centre of Echternach, the oldest city in Luxemburg. It leads to the tomb of St. Willibrord in the Basilica of Echternach. You can read all about it - practical as well as historical aspects - at this link. 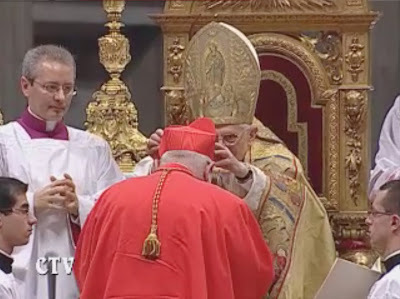 As announced a month ago, this morning the Holiness of our Lord Pope Benedict XVI is holding an ordinary public Consistory for the creation of new cardinals. As mentioned then, among those raised to the sacred purple are two great friends of both the usus antiquior and a reform of the reform, Their Excellencies Archbishops Raymond Burke and Malcolm Ranjith, as well as Domenico Bartolucci, the former maestro of the Sistine Chapel (see a full list here). Here are some impressions of this morning's celebration. 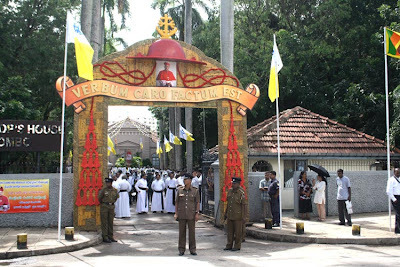 Ad honorem Dei omnipotentis et sanctorum Apostolorum Petri et Pauli, tibi committimus Titulum (vel Diaconiam) N. In nomine Patris, et Filii, et Spiritus Sancti. R. Amen. You can find a list of the titular churches assigned here.